Responsible Alcohol Sales training is necessary to prevent alcohol sales to minors and the use of fraudulent ID cards, and to protect the store from consequences of illegal sales of alcohol. 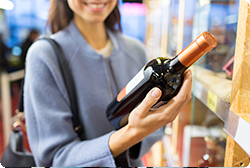 This 3-module online training course covers the laws regarding alcohol sales, how to check IDs, including spotting fake IDs, and how to identify and handle suspicious behavior during alcohol sales. Employees learn that they too can be held liable for accidents, property damage, and deaths resulting from illegal sales of alcohol in your store.